Simplified Employee Pensions (SEPs) are sometimes regarded as the “no-brainer” first choice for high-income small-business owners who don’t currently have tax-advantaged retirement plans set up for themselves. Why? Unlike other types of retirement plans, a SEP is easy to establish and a powerful retroactive tax planning tool: The deadline for setting up a SEP is favorable and contribution limits are generous. SEPs do have a couple of downsides if the business has employees other than the owner: 1) Contributions must be made for all eligible employees using the same percentage of compensation as for the owner, and 2) employee accounts are immediately 100% vested. A calendar-year partnership or S corporation has until March 15, 2017, to establish a SEP for 2016 (September 15, 2017, if the return is extended). A calendar-year sole proprietor or C corporation has until April 18, 2017 (October 16, 2017, if the return is extended), because of their later filing deadlines. The deadlines for limited liability companies (LLCs) depend on the tax treatment the LLC has elected. Furthermore, the business has until these same deadlines to make 2016 contributions and still claim a potentially hefty deduction on its 2016 return. Generally, other types of retirement plans would have to have been established by December 31, 2016, in order for 2016 contributions to be made (though many of these plans do allow 2016 contributions to be made in 2017). Contributions to SEPs are discretionary. The business can decide what amount of contribution it will make each year. The contributions go into SEP-IRAs established for each eligible employee. For 2016, the maximum contribution that can be made to a SEP-IRA is 25% of compensation (or 20% of self-employed income net of the self-employment tax deduction) of up to $265,000, subject to a contribution cap of $53,000. The 2017 limits are $270,000 and $54,000, respectively. 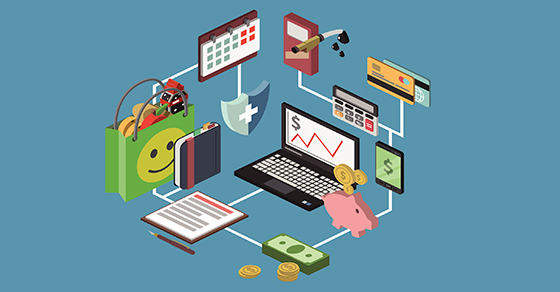 A SEP is established by completing and signing the very simple Form 5305-SEP (“Simplified Employee Pension — Individual Retirement Accounts Contribution Agreement”). Form 5305-SEP is not filed with the IRS, but it should be maintained as part of the business’s permanent tax records. A copy of Form 5305-SEP must be given to each employee covered by the SEP, along with a disclosure statement. Of course, additional rules and limits do apply to SEPs, but they’re generally much less onerous than those for other retirement plans. If you think a SEP might be good for your business, please contact us. 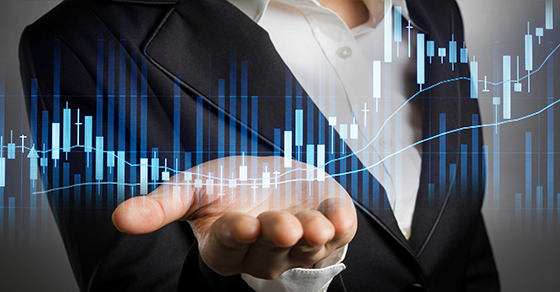 Incentive stock options allow you to buy company stock in the future at a fixed price equal to or greater than the stock’s fair market value on the grant date. If the stock appreciates, you can buy shares at a price below what they’re then trading for. However, complex tax rules apply to this type of compensation. 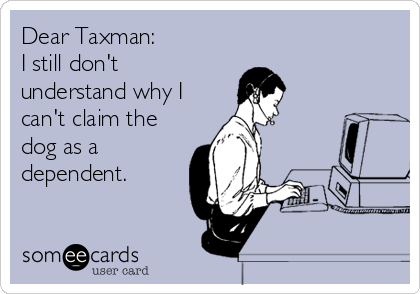 You owe no tax when ISOs are granted. You owe no regular income tax when you exercise ISOs, but there could be alternative minimum tax (AMT) consequences. If you sell the stock after holding the shares at least one year from the exercise date and two years from the grant date, you pay tax on the sale at your long-term capital gains rate. You also may owe the 3.8% net investment income tax (NIIT). So if you were granted ISOs in 2016, there likely isn’t any impact on your 2016 income tax return. But if in 2016 you exercised ISOs or you sold stock you’d acquired via exercising ISOs, then it could affect your 2016 tax liability. And it’s important to properly report the exercise or sale on your return to avoid potential interest and penalties for underpayment of tax. If you receive ISOs in 2017 or already hold ISOs that you haven’t yet exercised, plan carefully when to exercise them. Waiting to exercise ISOs until just before the expiration date (when the stock value may be the highest, assuming the stock is appreciating) may make sense. But exercising ISOs earlier can be advantageous in some situations. Keep in mind that the NIIT is part of the Affordable Care Act (ACA), and lawmakers in Washington are starting to take steps to repeal or replace the ACA. So the NIIT may not be a factor in the future. In addition, tax law changes are expected later this year that might include elimination of the AMT and could reduce ordinary and long-term capital gains rates for some taxpayers. When changes might go into effect and exactly what they’ll be is still uncertain. If you’ve received ISOs, contact us. We can help you ensure you’re reporting everything properly on your 2016 return and evaluate the risks and crunch the numbers to determine the best strategy for you going forward. Was a college student in your family last year? Or were you a student yourself? You may be eligible for some valuable tax breaks on your 2016 return. To max out your higher education breaks, you need to see which ones you’re eligible for and then claim the one(s) that will provide the greatest benefit. In most cases you can take only one break per student, and, for some breaks, only one per tax return. 1. The American Opportunity credit — up to $2,500 per year per student for qualifying expenses for the first four years of postsecondary education. 2. The Lifetime Learning credit — up to $2,000 per tax return for postsecondary education expenses, even beyond the first four years. But income-based phaseouts apply to these credits. 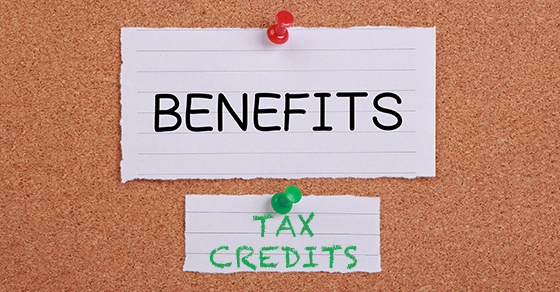 If you’re eligible for the American Opportunity credit, it will likely provide the most tax savings. If you’re not, the Lifetime Learning credit isn’t necessarily the best alternative. 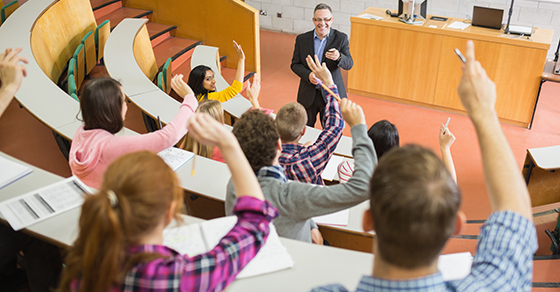 Despite the dollar-for-dollar tax savings credits offer, you might be better off deducting up to $4,000 of qualified higher education tuition and fees. Because it’s an above-the-line deduction, it reduces your adjusted gross income, which could provide additional tax benefits. But income-based limits also apply to the tuition and fees deduction. Be aware that the tuition and fees deduction expired December 31, 2016. So it won’t be available on your 2017 return unless Congress extends it or makes it permanent. How much can your family save? Keep in mind that, if you don’t qualify for breaks for your child’s higher education expenses because your income is too high, your child might. Many additional rules and limits apply to the credits and deduction, however. To learn which breaks your family might be eligible for on your 2016 tax returns — and which will provide the greatest tax savings — please contact us. The Section 199 deduction is intended to encourage domestic manufacturing. In fact, it’s often referred to as the “manufacturers’ deduction.” But this potentially valuable tax break can be used by many other types of businesses besides manufacturing companies. The Sec. 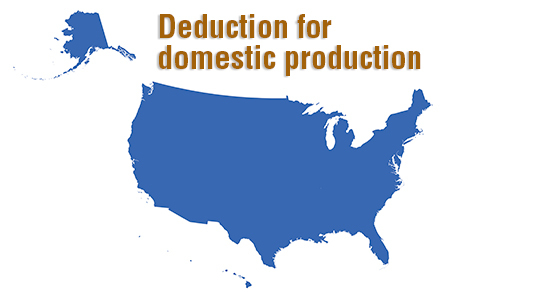 199 deduction, also called the “domestic production activities deduction,” is 9% of the lesser of qualified production activities income or taxable income. The deduction is also limited to 50% of W-2 wages paid by the taxpayer that are allocable to domestic production gross receipts. Yes, the deduction is available to traditional manufacturers. But businesses engaged in activities such as construction, engineering, architecture, computer software production and agricultural processing also may be eligible. The deduction isn’t allowed in determining net self-employment earnings and generally can’t reduce net income below zero. But it can be used against the alternative minimum tax. To determine a company’s Sec. 199 deduction, its qualified production activities income must be calculated. This is the amount of domestic production gross receipts (DPGR) exceeding the cost of goods sold and other expenses allocable to that DPGR. Most companies will need to allocate receipts between those that qualify as DPGR and those that don’t ― unless less than 5% of receipts aren’t attributable to DPGR. • Master copies of sound recordings. The property must have been manufactured, produced, grown or extracted in whole or “significantly” within the United States. While each situation is assessed on its merits, the IRS has said that, if the labor and overhead incurred in the United States accounted for at least 20% of the total cost of goods sold, the activity typically qualifies. Contact us to learn whether this potentially powerful deduction could reduce your business’s tax liability when you file your 2016 return. Investment interest — interest on debt used to buy assets held for investment, such as margin debt used to buy securities — generally is deductible for both regular tax and alternative minimum tax purposes. But special rules apply that can make this itemized deduction less beneficial than you might think. Dear Taxman: I still don’t understand why I can’t claim the dog as a dependent. Tax season is upon us. Let us help you out with those tricky deductions. Request your appointment today. Bonus depreciation allows businesses to recover the costs of depreciable property more quickly by claiming additional first-year depreciation for qualified assets. The PATH Act, signed into law a little over a year ago, extended 50% bonus depreciation through 2017. Claiming this break is generally beneficial, though in some cases a business might save more tax in the long run if they forgo it. However, 2016 may be an especially good year to take bonus depreciation. Keep this in mind when you’re filing your 2016 tax return. New tangible property with a recovery period of 20 years or less (such as office furniture and equipment) qualifies for bonus depreciation. So does off-the-shelf computer software, water utility property and qualified improvement property. And beginning in 2016, the qualified improvement property doesn’t have to be leased. It isn’t enough, however, to have acquired the property in 2016. You must also have placed the property in service in 2016. If you’re eligible for bonus depreciation and you expect to be in the same or a lower tax bracket in future years, taking bonus depreciation (to the extent you’ve exhausted any Section 179 expensing available to you) is likely a good tax strategy. It will defer tax, which generally is beneficial. But if your business is growing and you expect to be in a higher tax bracket in the near future, you may be better off forgoing bonus depreciation. Why? 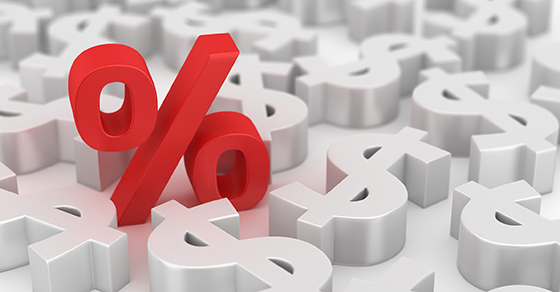 Even though you’ll pay more tax for 2016, you’ll preserve larger depreciation deductions on the property for future years, when they may be more powerful — deductions save more tax when you’re paying a higher tax rate. The greater tax-saving power of deductions when rates are higher is why 2016 may be a particularly good year to take bonus depreciation. With both President Trump and the Republican-controlled Congress wishing to reduce tax rates, there’s a good chance that such legislation could be signed into law. This means your tax rate could be lower for 2017 (if changes go into effect for 2017) and future years. If that happens, there’s a greater likelihood that taking bonus depreciation for 2016 would save you more tax than taking all of your deduction under normal depreciation schedules over a period of years. Also keep in mind that, under the PATH Act, bonus depreciation is scheduled to drop to 40% for 2018, drop to 30% for 2019, and expire Dec. 31, 2019. Of course, Congress could pass legislation extending 50% bonus depreciation or making it permanent — or it could eliminate it or reduce the bonus depreciation percentage sooner. 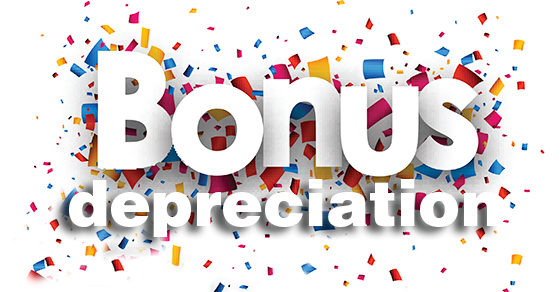 If you’re unsure whether you should take bonus depreciation on your 2016 return — or you have questions about other depreciation-related breaks, such as Sec. 179 expensing — contact us. The break allowing taxpayers to take an itemized deduction for state and local sales taxes in lieu of state and local income taxes was made “permanent” a little over a year ago. This break can be valuable to those residing in states with no or low income taxes or who purchase major items, such as a car or boat. How do you determine whether you can save more by deducting sales tax on your 2016 return? Compare your potential deduction for state and local income tax to your potential deduction for state and local sales tax. Don’t worry — you don’t have to have receipts documenting all of the sales tax you actually paid during the year to take full advantage of the deduction. Your deduction can be determined by using an IRS sales tax calculator that will base the deduction on your income and the sales tax rates in your locale plus the tax you actually paid on certain major purchases (for which you will need substantiation). If you’re considering making a large purchase in 2017, you shouldn’t necessarily count on the sales tax deduction being available on your 2017 return. When the PATH Act made the break “permanent” in late 2015, that just meant that there’s no scheduled expiration date for it. Congress could pass legislation to eliminate the break (or reduce its benefit) at any time. Recent Republican proposals have included elimination of many itemized deductions, and the new President has proposed putting a cap on itemized deductions. Which proposals will make it into tax legislation in 2017 and when various provisions will be signed into law and go into effect is still uncertain. Questions about the sales tax deduction or other breaks that might help you save taxes on your 2016 tax return? Or about the impact of possible tax law changes on your 2017 tax planning? Contact us — we can help you maximize your 2016 savings and effectively plan for 2017.